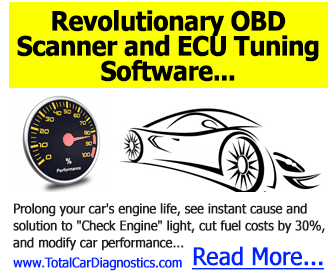 Maybe you’re entirely clueless as to the performance and functionality of your automobile? Maybe the act of you looking under your car’s hood is akin to you staring at a calculus equation? Perhaps you think you’re useless as far as DIY car maintenance goes? While some car repairs are undoubtedly complex, a great many of them are actually quite easy. Regardless of your knowledge, skills, and expertise, you can learn how to do them. Interested in learning these repairs? Read on! You might think of a brake pad replacement as a difficult procedure. However, the fact of the matter is that it’s actually fairly easily. To remove your brake pads, you will need a car jack, pliers, and a lug wrench. It would also be a good idea to stand your car up on jack ramps once it’s been jacked. Once your car is jacked, you must simply remove wheel, remove the hardware on your wheel, remove your old brake pads and install your new ones. You should be able to replace all of your brake pads within an hour. Considering how simple it is, every automobile owner should know how to change his or her oil. To do this, you’ll need a few tools, including a jack, jack stands, a drain pan, and an oil filter wrench. After you have your car up on jacks, you simply drain the oil that is currently existing within it, and then replace that oil with fresh oil. Whereas an oil change at an auto shop would set you back $30 to $70, a DIY oil change at home will set you back only $10 to $15. Whereas you would normally pay an auto repair shop $25 to $50 to install your car battery, you can install it yourself at no charge. You will, of course, still need to pay for a battery, however. To do this, you’ll need only a wrench or socket. If your battery is corroded, you will also need corrosion cleaner. When ready, first remove the negative terminal of your battery, then the positive terminal. Once you’ve one this, pull your old battery out, replace it with your new battery, and connect it at the positive terminal first, and the negative terminal second. Unless your car is put together in a very unorthodox way, it should be very easy for you to replace your headlights and taillights. You need only to access the interior sockets of these lights. Of all the easy car repairs out there, replacing windshield wipers might just be the easiest. To replace your windshield wipers, you need only to figure out which sized wipers your vehicle is compatible with. After you’ve bought your new wipers, simply remove your old ones and replace them with your new ones. The package that your new wipers came in will probably even tell you how to install them. Ideally, you will replace the spark plug in your vehicle every 30,000 miles or so. When the time comes, don’t spend a bunch of money to have it replaced in a shop. This is a procedure that you can easily complete yourself. First, make sure that your car is entirely cooled down. Then, with an extension and a ratchet, reach down to untwist your spark plug. After removing it, you simply take your new spark plug and insert it into the appropriate socket. Removing car hoses is a very easy process, and one which only very rarely needs to be carried out. In many cases, you can remove a hose simply by undoing its clamps. In other cases, if the hose has become stuck on, you might actually need to cut it off. Once the old hose is removed, you can slide the new one on with the use of grease. When doing so, make sure to tighten the clamps securely. You should never pay another human being to change your vehicle’s air filter. This just may be the easiest of all car repairs. Simply pop open your hood, locate the existing air filter, undue the metal pieces that sit on its sides, take out the air filter, and replace it with a fresh filter. This can be done at home yearly for just $10. Should all of the lights on your car vehicle happen to go out at the same time, you could very well be dealing with a burnt fuse. Fortunately, replacing a fuse is not a difficult task. Simply find the fuse box under your hood, remove the existing fuse, and replace it with a new one. Make sure to look at your user’s manual to assess which type of fuse is needed. Whether you’re a budding professional driver just out of trucking schools or a regular schmo trying to get to work on time, you need to know how to change a tire on an automobile. After all, you never know when you might experience a breakdown in the middle of nowhere. To change a flat tire, you will need a jack and a lug wrench. First, prop the flat tire up with your jack. Then, using your lug wrench, unscrew the lugs in your tire. From there, you can remove your flat tire and replace it with a new tire. In Search of More DIY Car Maintenance Tips? By making the above-reviewed repairs yourself, you can end up saving a good deal of money over the years. Each of these repairs is on the simple side, and can be completed within the span of an hour. Are you, by any chance, in search of more DIY car maintenance tips? If so, you can find them right here at Motor Era. 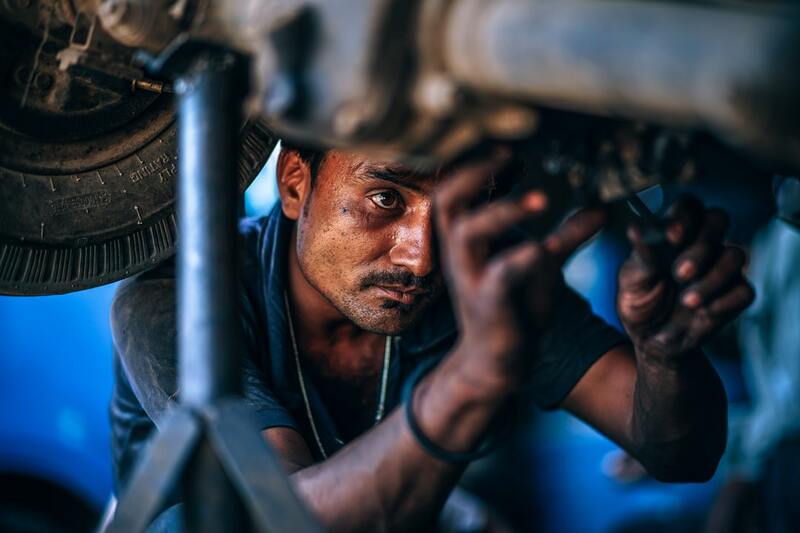 Our site is loaded with DIY information, helping you to become more and more adept in the maintenance and repair of automobiles. Read some of our other DIY articles right now! Next Post:Let Your Money Travel With You: Are Kia’s Reliable Cars?